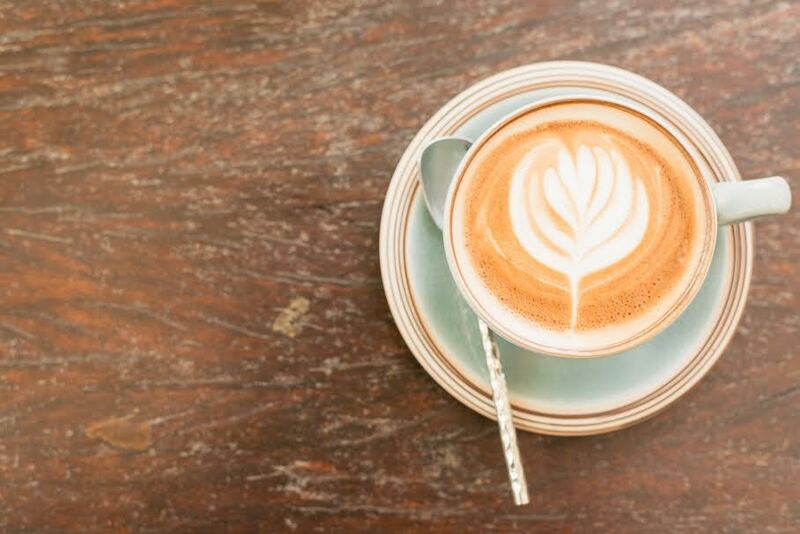 Where to Go For Coffee in Boca Raton…Look No Further! I don’t know about you but as a busy Realtor with listings and property showings “coffee” is a main food staple for this gal on the go! 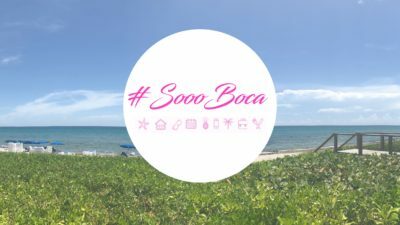 Sooo…today’s #SoooBoca’s “Five in the Hive” focus is Coffee in Boca! Where is the best coffee in Boca you ask? I can assure you that coffee roasters are alive and well in our fabulous town and that our residents and visitors are very passionate about the spots they sip their coffee at! 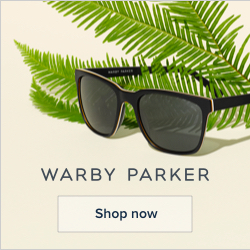 Frankly there are more than five spots we love and we update this post a couple of times a year so keep reading! Boca is a mecca for small business owners — this city takes pride in buying local and supporting our neighborhood shops. We love to check out different spots to share with our followers. Of course we enjoy the occasional Starbucks or a quick pit stop at Dunkin’ Donuts, but what we really love is the home brewed stuff. The slow roasted, cozy sitting cup of coffee. That being said, today’s ‘Five in the Hive’ is salutes some of our local coffee shops! First on the list, is the sweet, quaint shop right off of Palmetto Park Road ‘The Seed.’ This spot popped up over night and since its curation has been a hometown favorite! Not only is the coffee toasty and amazing but the atmosphere is what elevates this cafe to the next level. The community tables are great for a large meet up and each seat has access to an outlet! If that doesn’t scream business meeting don’t know what does! 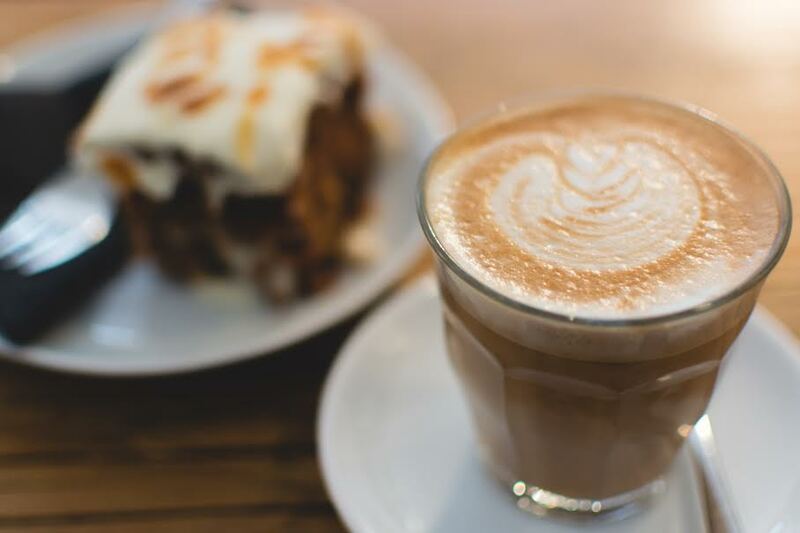 For a more traditional coffee experience stop by ‘Saquellas.’ Located in the heart of downtown Boca this long standing Italian cafe is known for their creamy cappuccinos, lattes and all around smooth coffee. Pair it with any of the bakery items and you are sure to be drifting off into mid-morning heaven. Don’t worry about getting lost in the plaza, just keep an eye out for Saquellas signature red chairs and you will be one sip closer to our favorite iced latte. If cold brew coffee is on your agenda pop in at ‘Apura’ for an overnight brew that will get your wheels moving. Try the Vanilla Mocha Coffee, you definitely will not feel guilty about this yummy, sweet drink since it is made with all natural ingredients. This stop brews with intention, so you can be sure that anything you consume from Apura will be pure quality. There is nothing more french than cake and coffee. ‘Cote France Cafe’ is known for their authentic french pastries and steamy cups of caffeine goodness. Much like the sweet avenues of France this cafe is located on a cozy corner in the midst of Royal Palm Plaza — if you blink you may miss it. It is the perfect place for an after lunch pick me up or a feel good sweet. New kid on the block ‘R1 Coffee,’ is just now making their debut on the coffee scene here in Boca Raton. Check them out over on Federal Highway and see what they are all about. Try a classic espresso or ask to check out their daily coffee menu..yes you read that correctly — DAILY COFFEE MENU. Sip and splurge over Boca’s newest cafe. 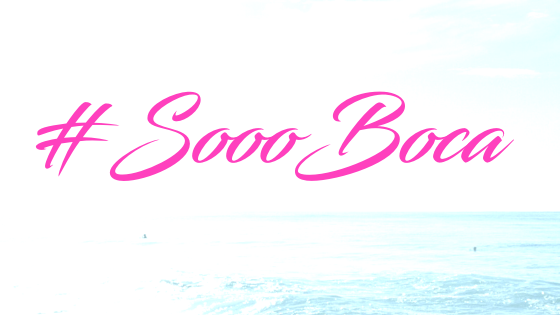 An update to our blog includes some new favorite coffee spots in Boca! 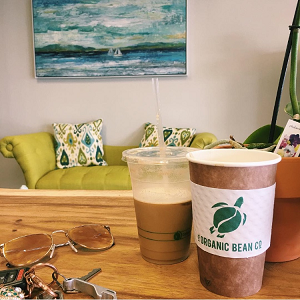 There is a fabulous new vegan friendly self-serve coffee spot called the The Organic Bean Company that Tiffany Hakim, an FAU alumni has opened over at The Shops at University Park on 20th Street. This is such a cool place with some great options like nitro coffee, hot or cold coffee, tea and juices! I had a morning meeting and have been dying to try the coffee here and it was fabulous! Easy, quick and such a pleasant yet chill atmosphere. With a focus on plant based living they also offer coconut creamers and if you are like me and basically have creamer with your coffee this is a great option! They also have acai on tap if you are looking for a cash and carry breakfast scenario and of course the millennial fave of avocado toast. 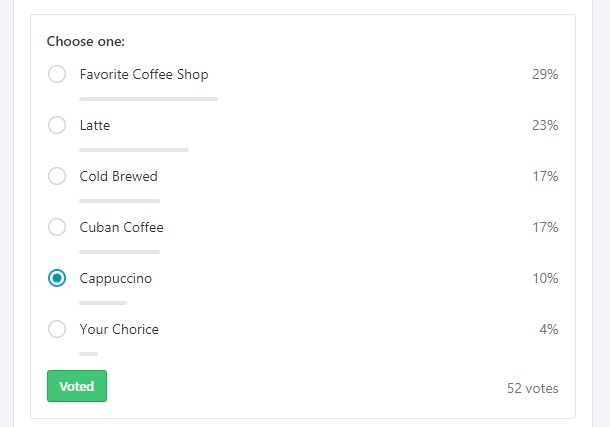 So buzz by, check out the coffee wall and grab a bite while you study or if you need a new place to have a meeting. A true sweet treat that happens to be located by some of our fave boutiques and thrift stores is on 20th Street near Florida Atlantic University. Cosa Duci Bakery and Cafe is simply as salute to all things delicious and the coffee is off the charts good. My personal fave is the cappuccino and a mini quiche! Their menu is diverse and they are open for breakfast, lunch and early dinner as they close at 6pm. 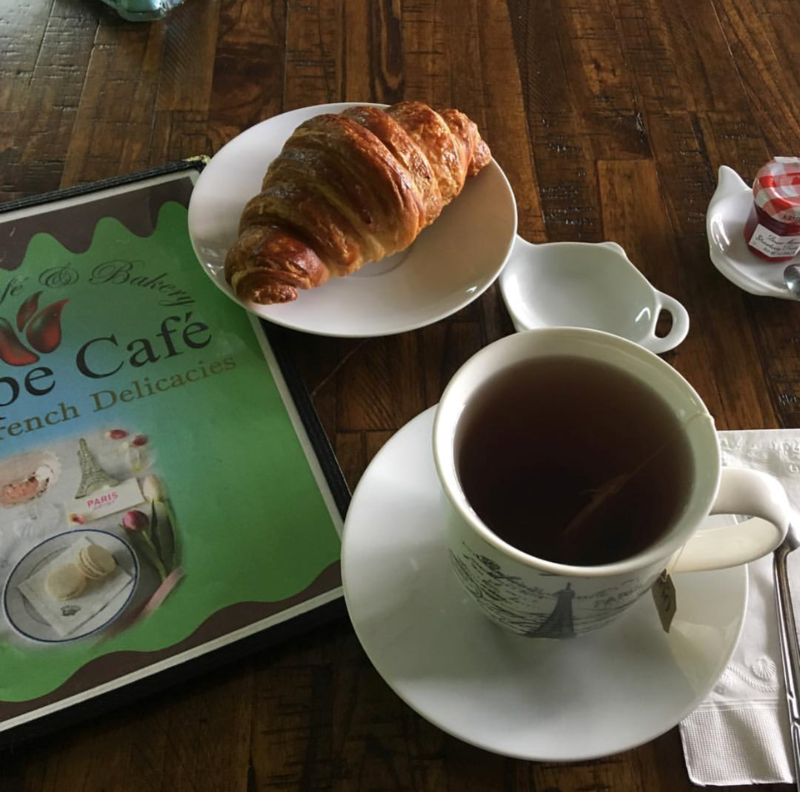 Another addition to our #SoooBoca list is Tulipe Cafe, a parisian style spot for you to visit just on Powerline Road. Who doesn’t love a melt in your mouth chocolate croissant or tasty macaron or a french biscotti to dip in your coffee or cup of espresso! If you are “old Boca” I want to pay tribute to one of my personal faves from back in the day the Coffee Roaster out at Glades Plaza…oh my it was lovely. Remember those sandwiches too and the outdoor garden? 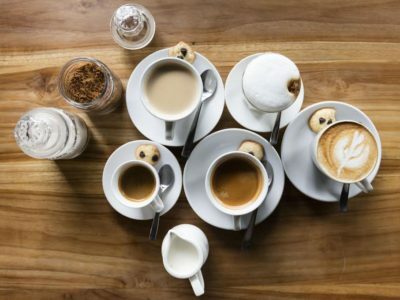 Now that you have the buzz on Coffee in Boca get to sipping some brew and let us know your favorite joint on our Facebook page ‘#Sooo Boca.’ so we can buzz on over and enjoy! 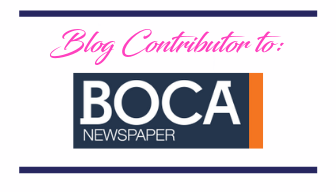 Looking for fun events and what is happening around Boca after you have that cuppa joe? Click here to see a variety of local calendars! 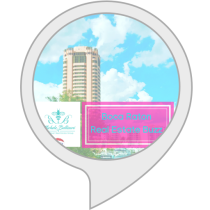 Blog collaboration: Kylie Bellisari is a travel and lifestyle blogger behind Ohmyitskye & Michele Bellisari with RE/Max Services, Realtor . Buzz By Like, Follow and Subscribe to Our Social Media Channels and Say Hello! What is Your Word for the New Year?